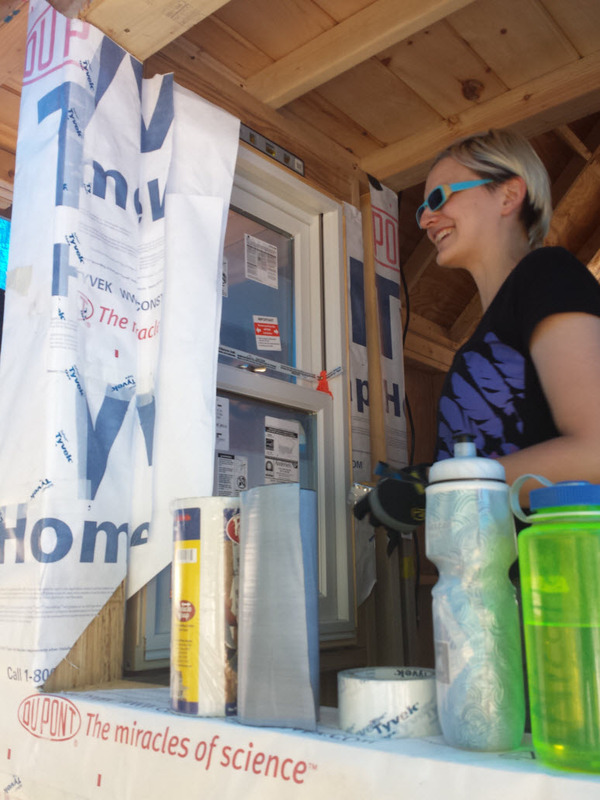 This weekend, blessed with perfect weather, we invited our crew of handy friends over and installed the final four windows in the Tiny House. 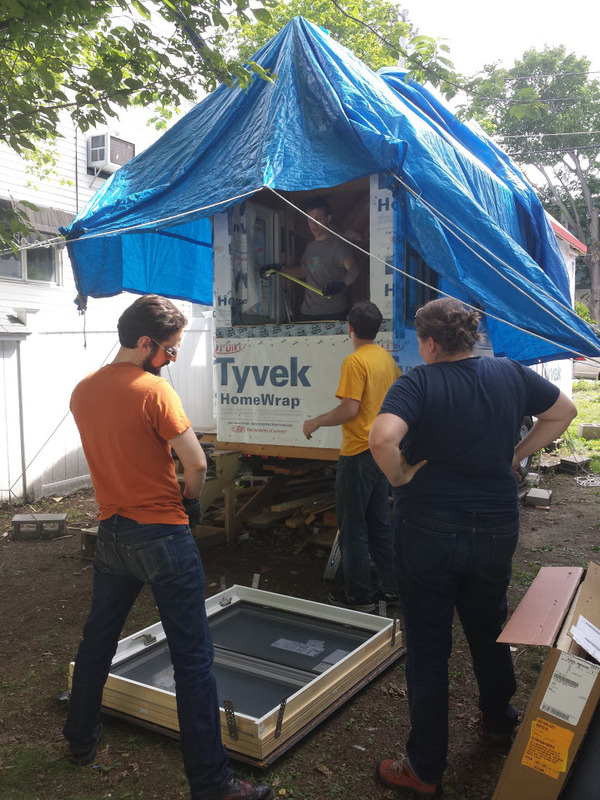 Two of the windows were not very different from other windows already installed in the tiny house, but the skylight and the bay window were special challenges. The double-hung window near Char was the easiest of the bunch and made for a good warm-up. The skylight was a challenge because of its placement on the roof. It wasn’t particularly difficult, but the installation method was different than all the other windows, and the waterproofing steps are much more detailed (and critical). The final flashing of the skylight can’t be done until we’re installing the roof, but most of the work is complete. The bay window was a challenge because it takes two people to lift just to move it at all, and a third person is needed to keep it in place when hanging it. 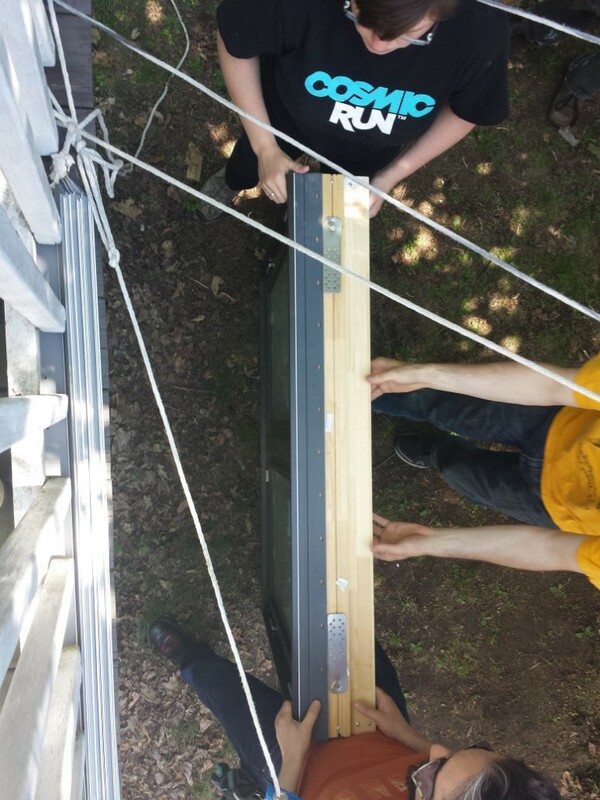 While it is on the “first floor”, it is high enough up that a ladder and our moveable staircase were needed. Since it is so large, and the entire window can swing open, it’s much more subject to flexing. Right now the righthand pane doesn’t quite close correctly, and it may be necessary to rehang the hinges if it continues to be a problem. Special thanks to our friends Andy, Nicolle, David, and Jess. 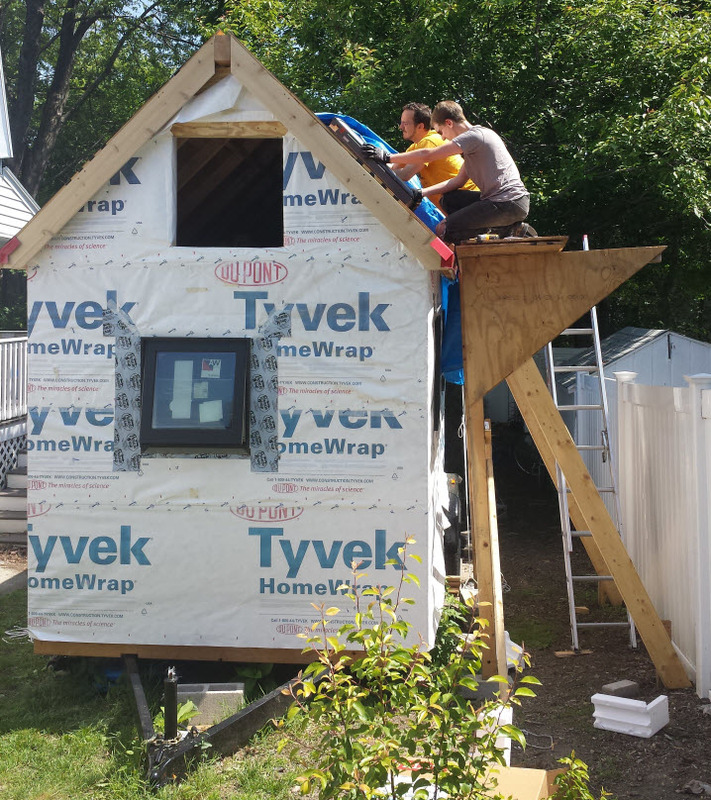 We could not have accomplished installing four windows (three of them high up, one of them super-heavy) in one day without their lifting, caulking, drilling, flange-placing, Tyvek-taping, underlayment cutting and installing.